Every year you scour the earth looking for the perfect costume, and every year you find it. This journey is not always easy, or quick. And then you get the costume, and realize that you need some extra things to complete our outfit. This year you have found the cutest, evil nurse costume ever. You made sure it fit, then bought it from the store, then realized there was no cap. Well, fear not. We have just the thing to make your costume experience a little more complete. 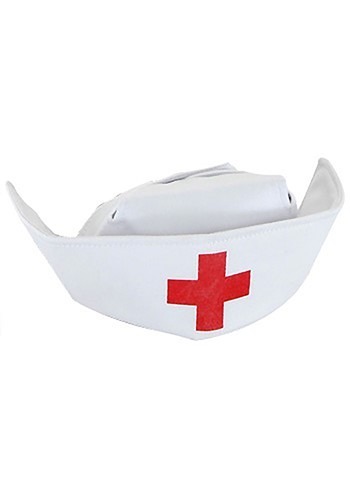 This Nurse Cap will add the finishing touch to that perfect evil nurse costume. Because everyone knows a nurse wearing a cap can't be anything but evil. Don't ask us why, they just always turn out less than sane, and willing to stab their patients with hypodermic needles.